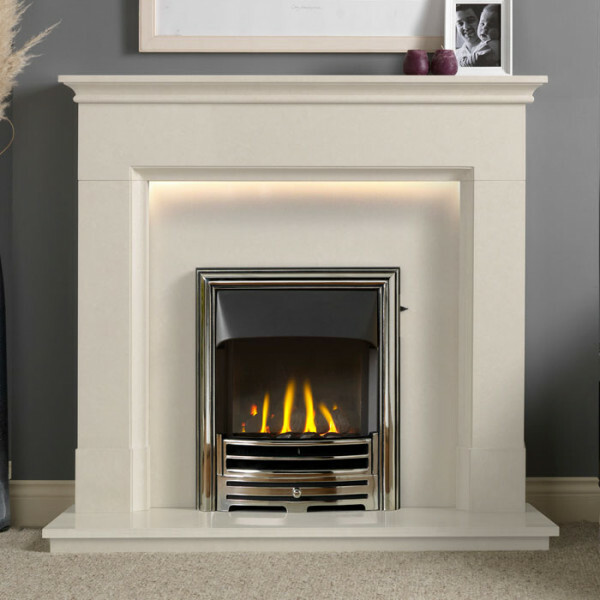 The Gallery Langdon 48" Arctic White Fireplace Suite consists of the Langdon 48" marble surround with downlights, marble back panel, marble hearth and optional Providence fire. 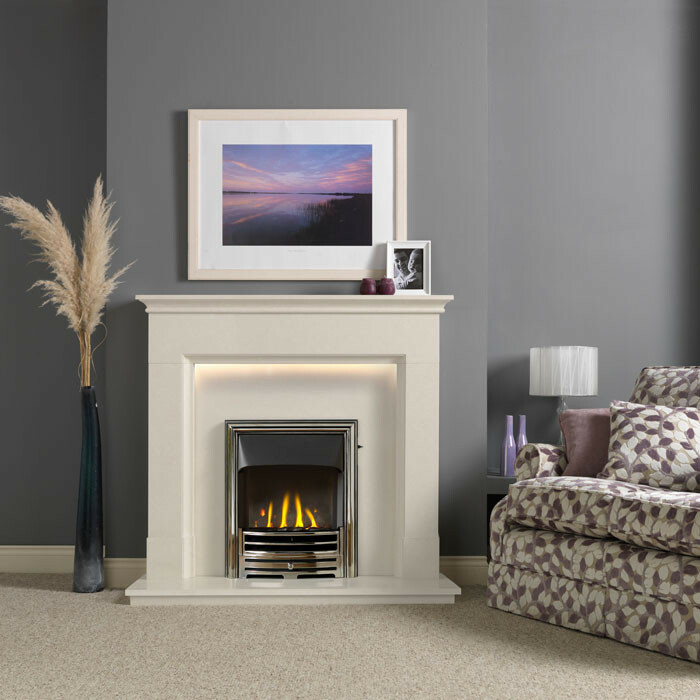 Manufactured using the popular Arctic White micro marble the Langdon also features ambient downlights fitted under the mantel chest. 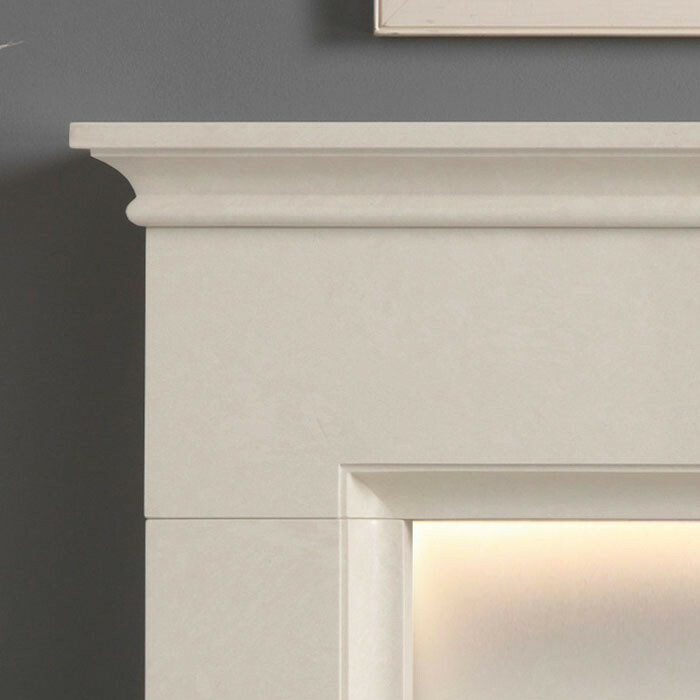 The perfect companion for virtually any standard sized gas or electric fire the Langdon will make a striking feature in either contemporary or traditional settings. Built from micro marble, an engineered stone, manufactured from crushed marble and specially developed resins. Micro marble is a fine grained man made marble which gives a smooth polished surface and a consistent colour. The Gallery Providence Class 1 and High Efficiency gas fire has an output of up to 4kW and is suitable for Class 1 chimneys. 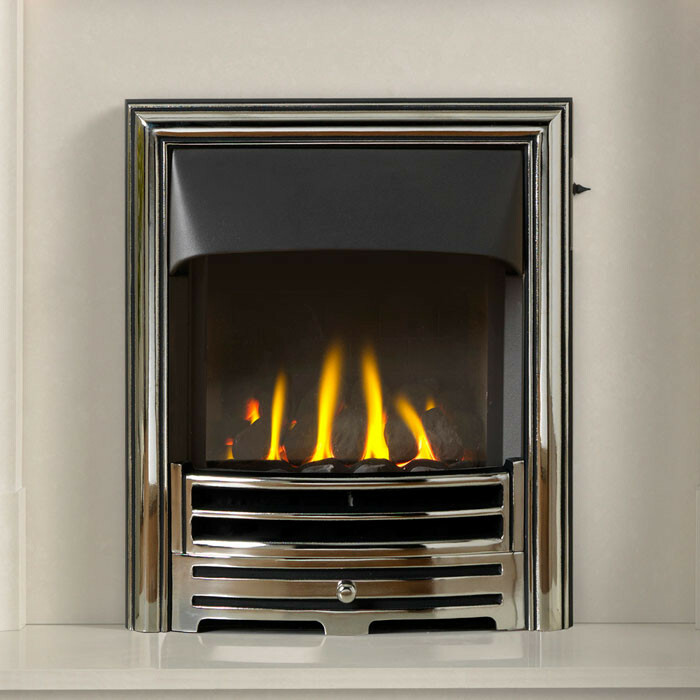 The slimline gas fire (Class 2) has an output of 3.4kW and is suitable for Class 2 chimneys. All gas models of this fire come with slide control to the top right of the fire.